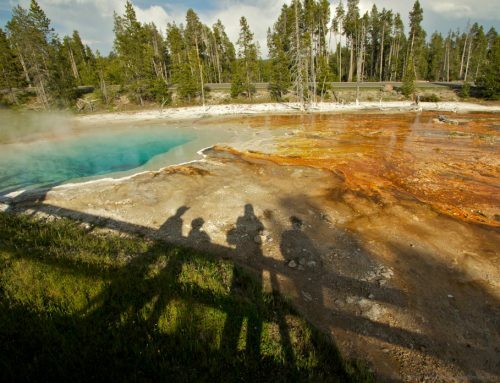 It should come as no surprise that Yellowstone National Park is one of the most visited in the country, with more than 4 million people making the trip each year. They come to see one of America’s most scenic regions with rugged mountains, breathtaking waterfalls, incredible wildlife, and nearly half the world’s geysers, including Old Faithful. It’s the country’s first national park, and at more than 3,400 square miles, the second largest in the continental U.S., taking up the northwest corner of Wyoming in addition to part of Montana and Idaho. Planning a trip to see it all can be overwhelming, but there’s no better place to serve as your base camp than West Yellowstone, Montana. Located just outside the western entrance to the park, West Yellowstone has long been a gateway to outdoor adventure. 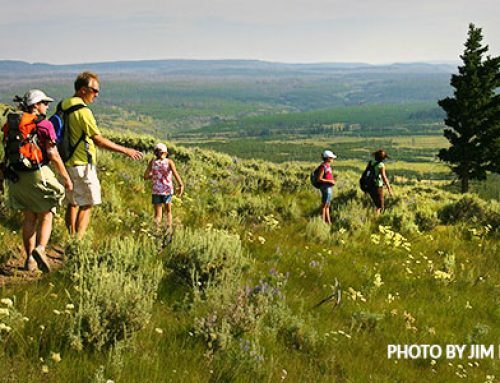 In fact, you’ll find activities in every direction, as West Yellowstone is surrounded by three national forests, alpine lakes, blue-ribbon trout streams, and panoramic views just about anywhere you look. It’s the place to refuel, relax, and spend the night, with all the modern resources and conveniences you need. The compact hub blends Old West charm with modern amenities, and local shopping, dining, and recreational opportunities give people plenty to do outside the park. Here’s are just some of the area resources to help you start your day, enjoy a great meal, and rest your head for the night. Before driving in the park for the day, make sure you get your coffee fix in West Yellowstone. Starting the day with a good meal and a strong cup of coffee is a must-do before any adventure. Thankfully West Yellowstone is filled with options for a hearty breakfast and a top-notch caffeine fix. You can’t go wrong at any of these options before hitting the trail. 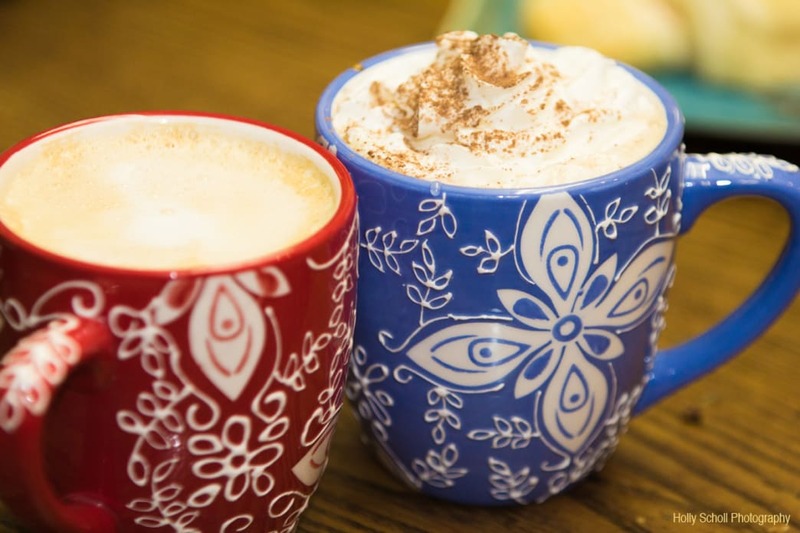 Mountain Mama’s Coffee House and Bakery: It’s hard to find something on this menu that doesn’t feature locally sourced ingredients. From the wild game in their sandwiches and pasties to the bread baked in-house, you can’t go wrong here. They are open for breakfast, lunch, and dinner, and chances are you’ll want to hit all three when you’re in town. Campfire Lodge: Snag a table overlooking the Madison River and enjoy your morning coffee with a view that can’t be beat. It’s famous cinnamon rolls are amazing, and while you can definitely keep one all for yourself, you may end up sharing it with the whole table. Bunkhouse Barn Interiors & The Book Peddler: This is one of the more unique stores in town. In addition to your morning coffee and something sweet to get you going in the morning, it’s also a bookstore and a home decor shop. Running Bear Pancake House: This spot is within spitting distance from Yellowstone National Park, and it will serve up a big stack to fuel your in-park adventures. Family-friendly atmosphere and delicious espresso drinks round out the classic breakfast joint offerings. Ernie’s: Ernie’s is a West Yellowstone classic, and no visit to West is complete without a stop here. Try the Yellowstone Super Scramble with a homemade biscuit. You won’t be disappointed. Pete’s Rocky Mountain Pizza hits the spot after a day exploring the outdoors. After a long day exploring the park, hiking around the local trail systems, and wildlife watching, it’s always fun to get back to town and pull up a bar stool. In no particular order, here are some of our favorites. Slippery Otter Pub: A long list of local brews and a complete dinner menu will quench your thirst and take care of any hunger after a day spent outside. Their burgers are always a good option—and be sure to grab a pint of the Salmon Fly Honey Rye. Three Bear Restaurant: Three Bear Restaurant does everything from steaks to pasta to vegetarian options. It’s open for breakfast and dinner, and there’s even lodging on location. Firehole BBQ: Get a taste of Texas at this West Yellowstone favorite, which has been featured on The Food Network’s Diners, Drive-ins, and Dives. All of the meat is smoked in-house on a daily basis—and once it’s gone, it’s gone. Choose from brisket, turkey chicken, sausage, and ribs—and it will be a tough decision—all available by the pound. 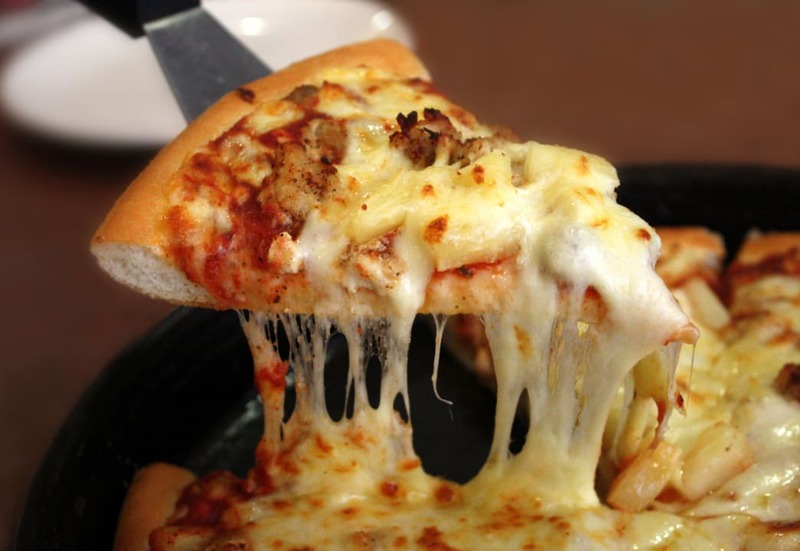 Gusher Pizza & Sandwich Shoppe: For more than 60 years, this has been the go-to spot for pizza in West Yellowstone. For those not in the mood for a slice, burgers and sandwiches are also available—and it offers free delivery. Cafe Madriz Tapas: You’re far from Spain, but at this cozy spot you can sample a wide variety of small plates that will give you a taste of Europe. Try the paella for something special, or get lots of both hot and cold tapas to share as a group. Note that it’s only open for dining during the summer season. Yellowstone National Park calls for more than just one day of exploring. 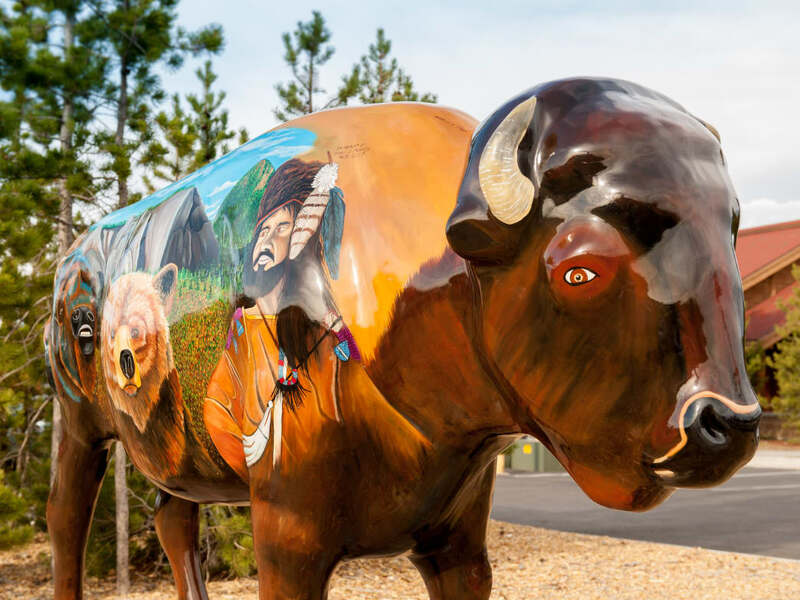 Spending the night in West Yellowstone is convenient, with plenty of options for travelers of all budgets and styles—all with an ample amount of hospitality and cheer. With such a large variety of places to choose from, these are a good place to start. 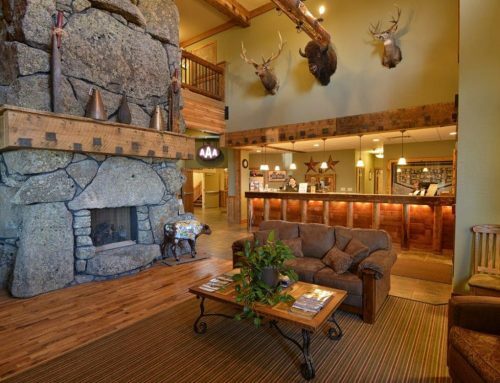 Yellowstone Lodge: With almost 80 rooms, a jacuzzi, and various options for room sizes and capacities, this is a go-to that will almost always have availability. 1872 Inn: This boutique hotel is only open during the summer travel season, but those able to stay at this high-end property will have an unforgettable experience. The decor is a mix of rustic charm with modern amenities, and each room features a fireplace, double shower, and flat-screen television. Hibernation Station: These luxury cabins are each hand-crafted and feature custom western decor, including handmade beds and chairs. Cabins for from two to eight guests each offer a unique place to stay just blocks from the entrance to the national park. Evergreen Motel: This property was built in the early 1930s and recently refurbished, and the location is stellar—you can’t get much closer in proximity to the West Entrance of the park. Yellowstone West Gate Hotel: Sparkling clean and pretty much brand new, this hotel is a great option, while the staff will help arrange trips and suggest itineraries for your visit. Gray Wolf Inn & Suites: This property was recently renovated and also just a few minutes from Yellowstone’s West Entrance. The hospitality, local vibe, and the fact that they have pet-friendly rooms makes this another favorite. Ready to begin? There’s a reason that Yellowstone National Park is ranked among the most scenic in the country. 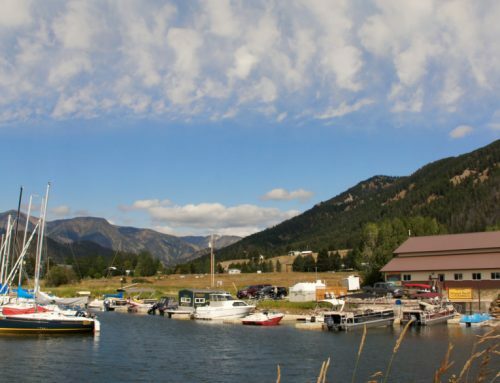 With a little planning, you can have a getaway that allows you to enjoy the best of the park with the ease of staying in a town like West Yellowstone. Written by Matcha for West Yellowstone Chamber.